Thanks @viktor for the work you’ve done on this. I will be implementing it and the color throughout ClassicCommerce. Happy to help. I’ll upload svg and other files when I’m back on my PC within the next hour or so. Did you create GitHub repo for this fork? 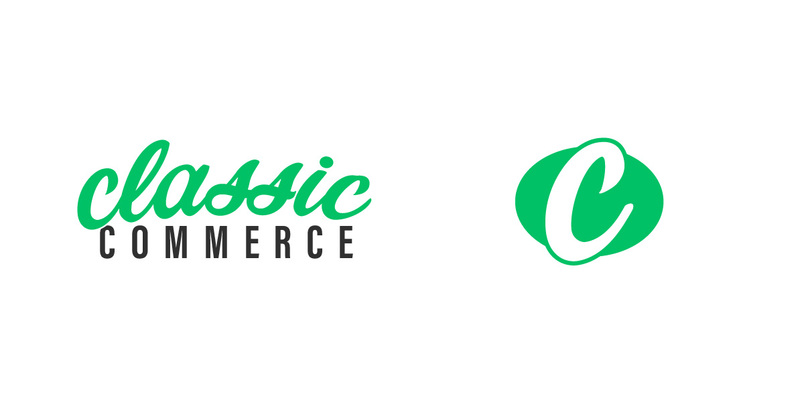 Maybe we can redirect classiccommerce.cc to the GitHub repo for now. I set up forwarding from the domain to the Github page. We can always change it later. I realized we didn’t come up with a version of the logo with the name ClassicCommerce. Here’s a simple version. What do you think? Is this the first time that font has been suggested? I’m not a graphic design person but I find it suggests “playful and a bit wonky”. To me, it doesn’t really fit the subject. What if the font was the same as the cc in the logo? and the text same height as the wallet and not the money? The font I used is the same font as CC inside the wallet, lighter weight though. The C’s are ok in this don’t, overall l it might be better to use a different font. Maybe Open Sans or something similar, clean, without extras. Well I would use something a bit more staid, but see what others think. Edit: This is Lato - it seems to have the roundest shaped Cs of the common web fonts. And this is how it would look using Lato for the Cs on the logo as well. I like the first one (Lato for text, but with the thicker C’s inside the logo). In order to keep the logo recognizable at smaller sizes, like a favicon, you’ll want the thicker C’s. Yes, just looking at them again with fresh eyes and I agree. I’m a designer so my contribution to this excellent movement is limited. I think the name Classic Commerce is problematic. Its too long and too many Cs. My strategy then would be to focus on the Classic and de-emphasise Commerce. If this direction is liked, I’d be happy to expand it further and also to perhaps consider a more thorough identity system for CP in general. Modern 50’s - yes. Modern 2000 - sorry, no. We all are involved in all decisions abour CP&CC and are responsible for all outcomes. Hi @Alistair_Reid, thanks for contributing! You’ll want to talk with @parkerj about the logo and the name, but as far as I know, both are set. Note that ClassicCommerce is in the “research and evaluation” stage rather than being an official ClassicPress project. As far as existing ClassicPress identity, it’s probably best to do that in a separate thread (we can split posts off into a new thread if we end up discussing that here). Here’s what we’ve got so far: https://www.classicpress.net/brand-guidelines/ and @BlueSkyPhoenix is the best person to talk to about that.